Back By Popular Demand! Thrill as you journey into a live soundscape, watching the battle between good and evil. 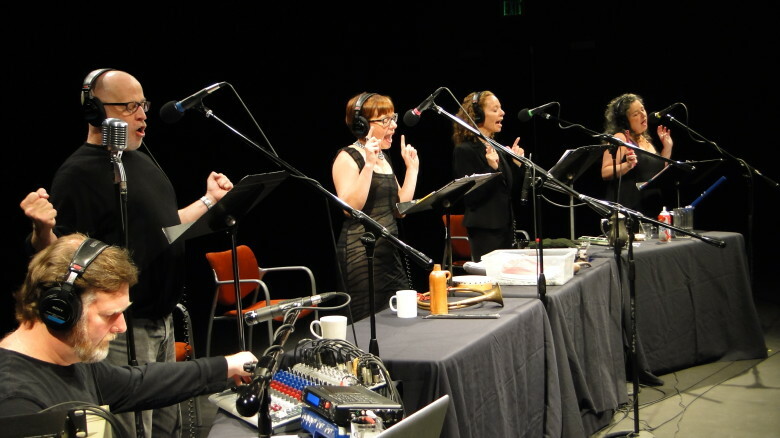 Madcap Melodrama, a Seattle ensemble which includes The Merc Playhouse’s Artistic Director, Ki Gottberg, invites you to an encore presentation of their audio play, an adaptation of the tale by J.R. Planché of The Vampire, or the Bride of the Isles. This 1920 Melodrama gave London audiences the shivers as they watched the wicked and seductive progress of an undead Lord mesmerizing his way into the noble hearts of royalty. Now, as adapted by Ki Gottberg, Madcap Melodrama brings the tale to today’s audiences, enhanced by a live soundscape. Featuring the talents of Dominic Cody-Kramers, Ki Gottberg, Gin Hammond, Brennan Murphy, and Kate Wisniewski.